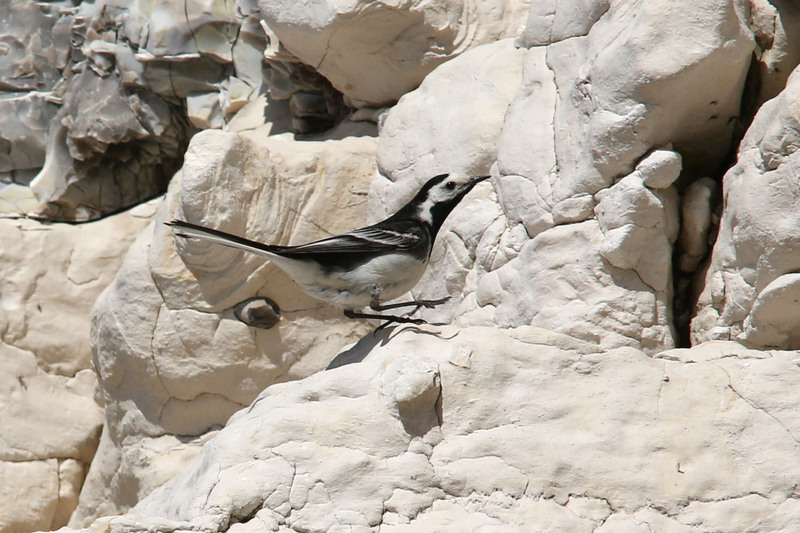 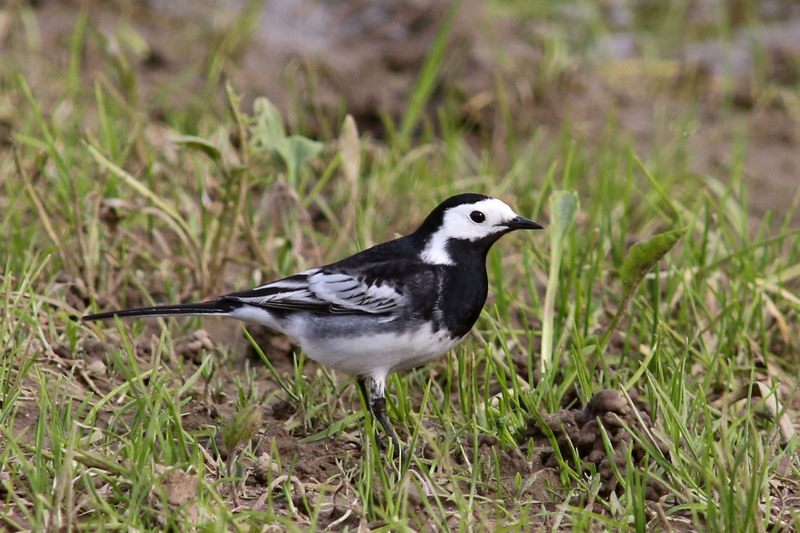 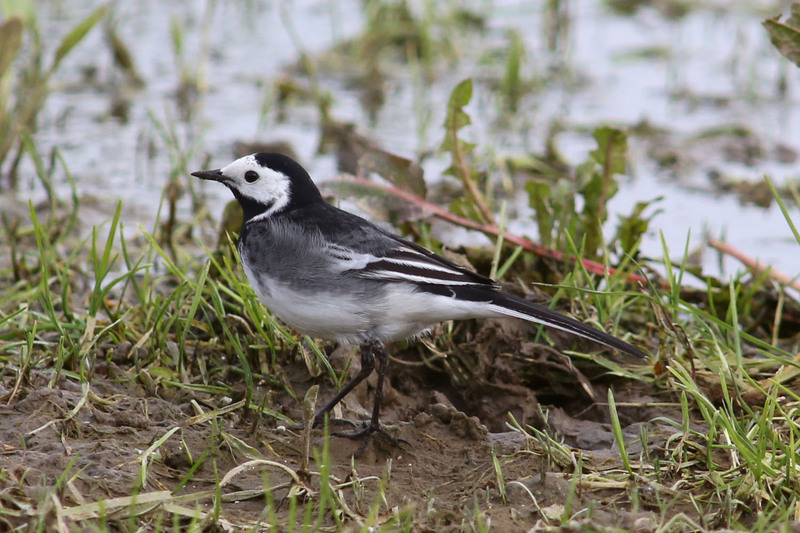 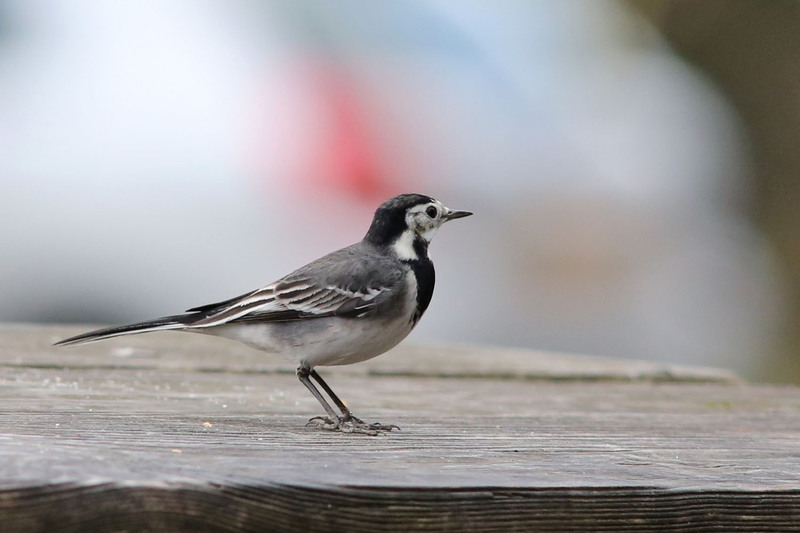 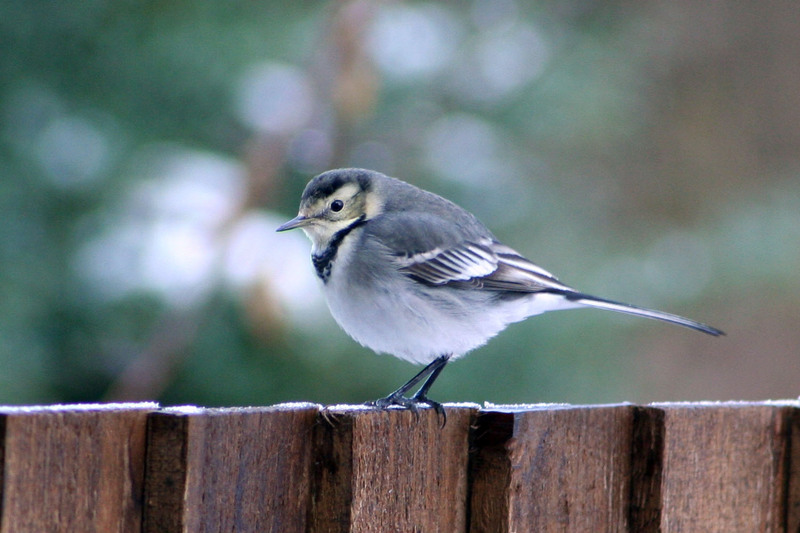 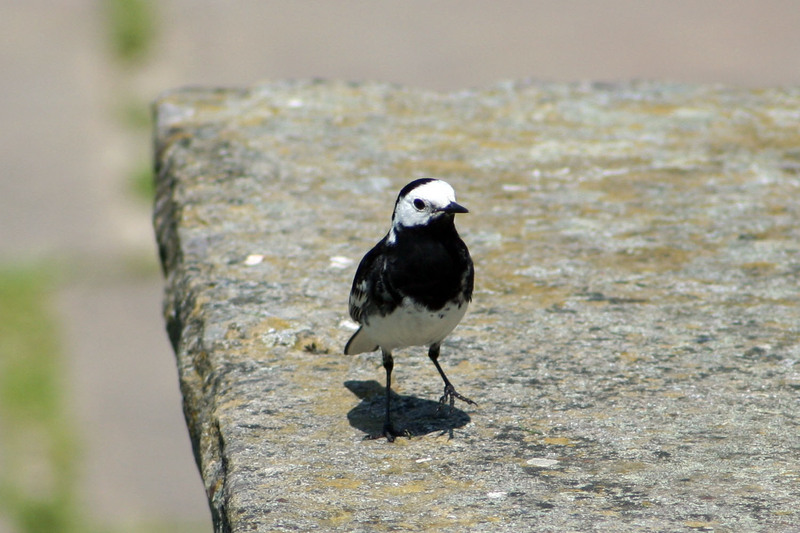 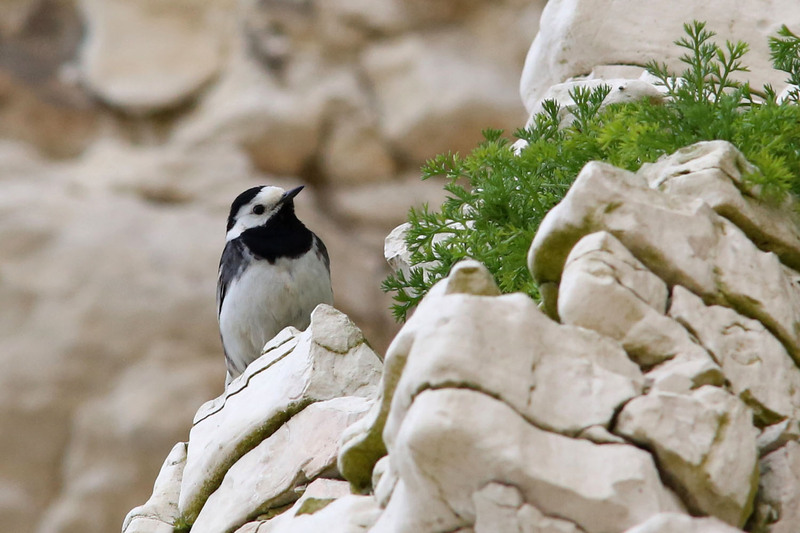 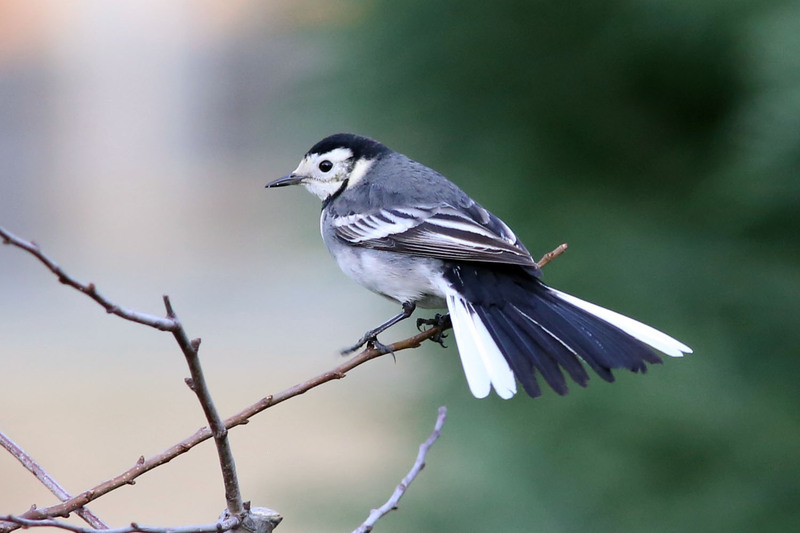 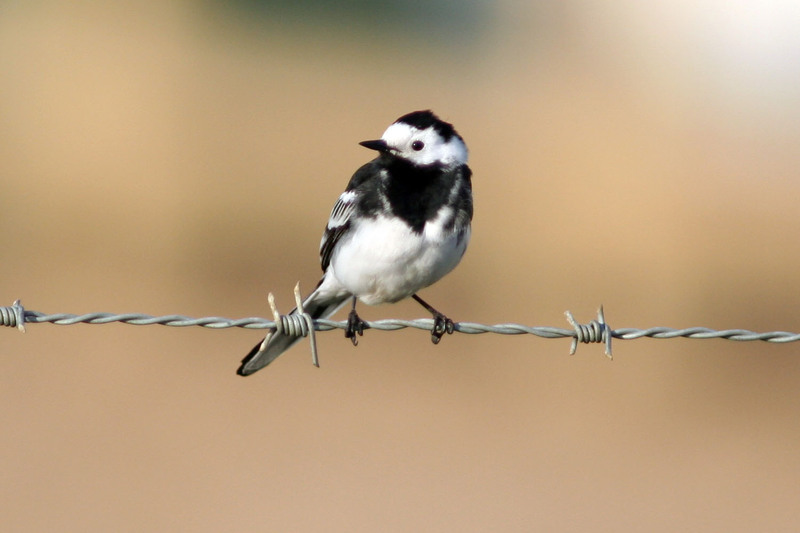 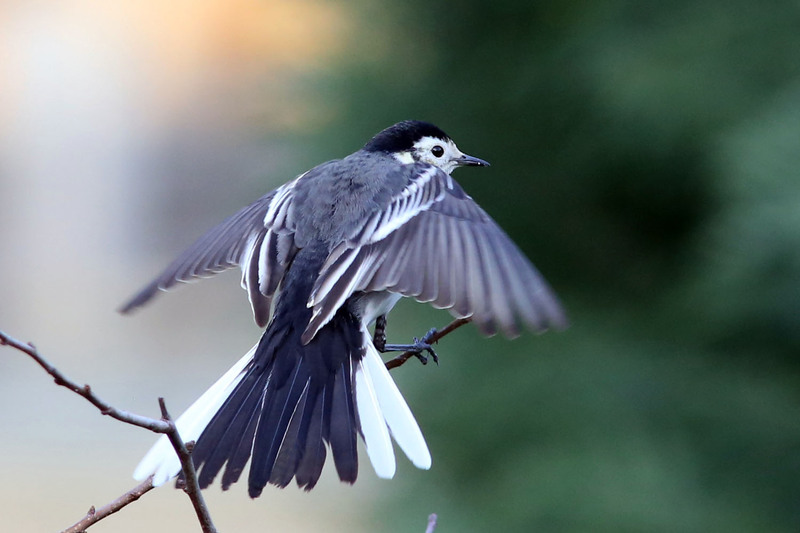 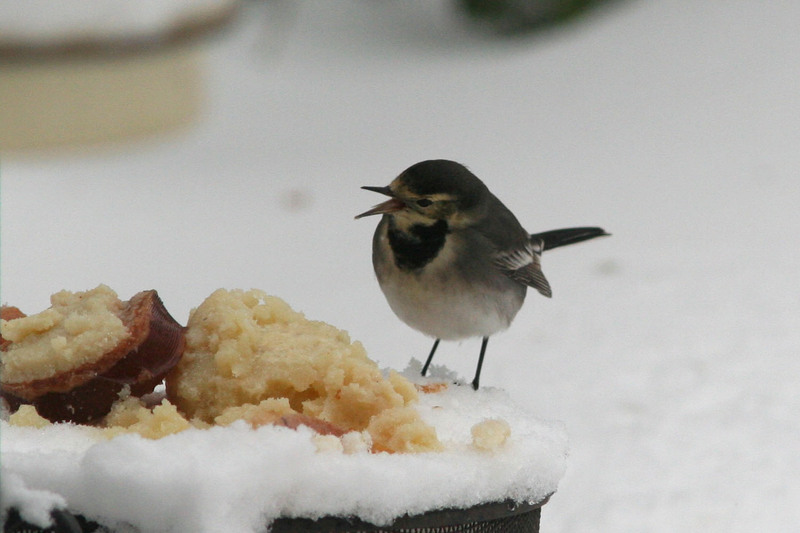 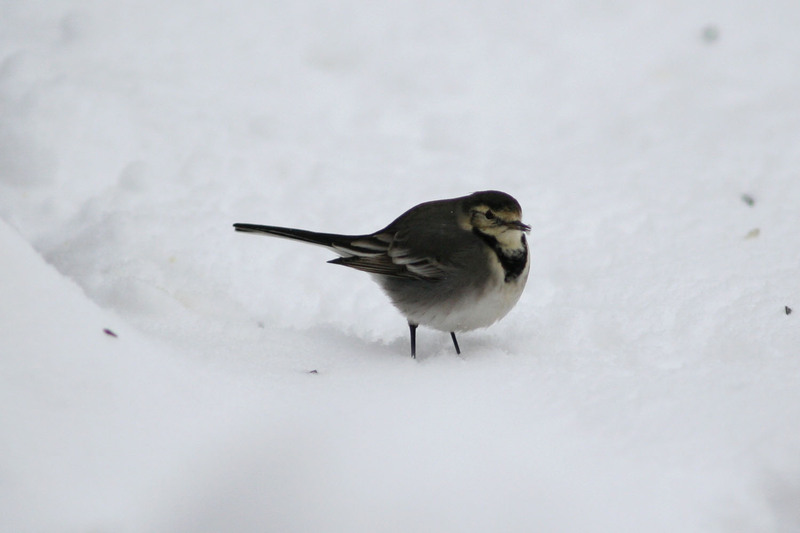 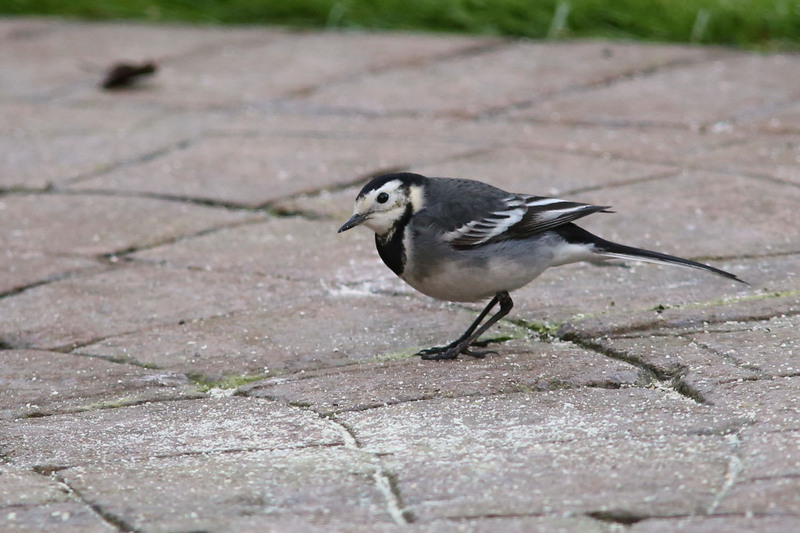 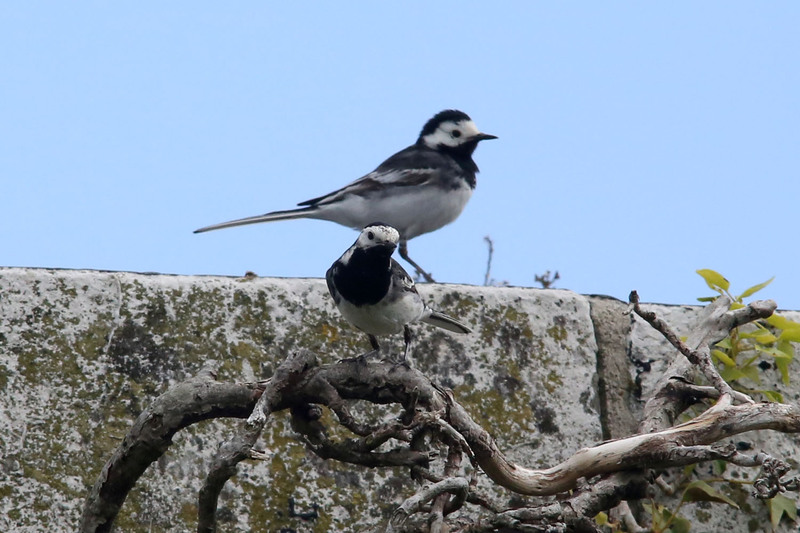 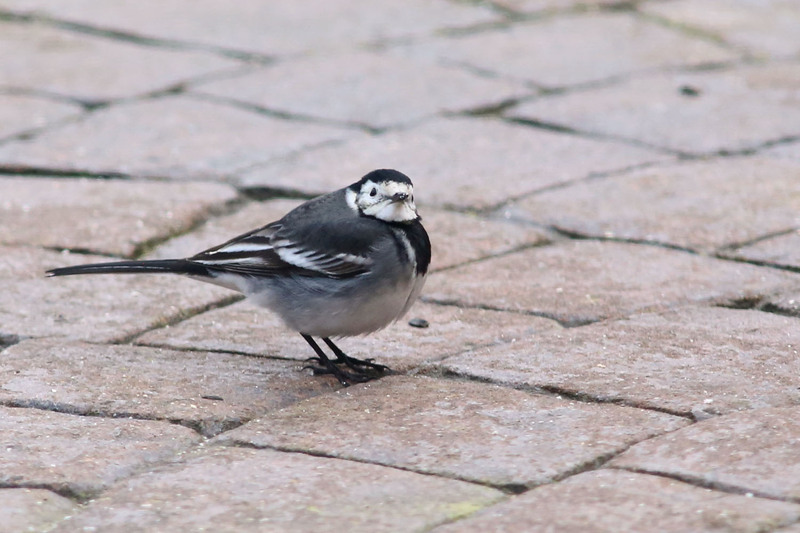 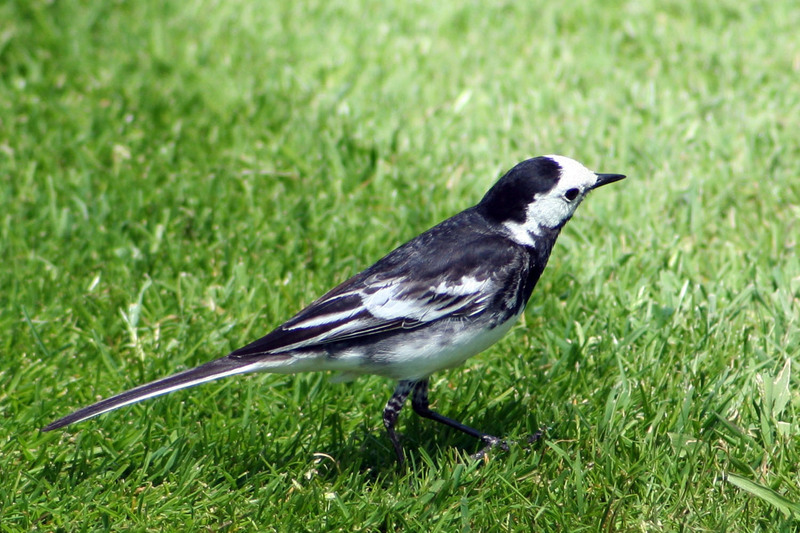 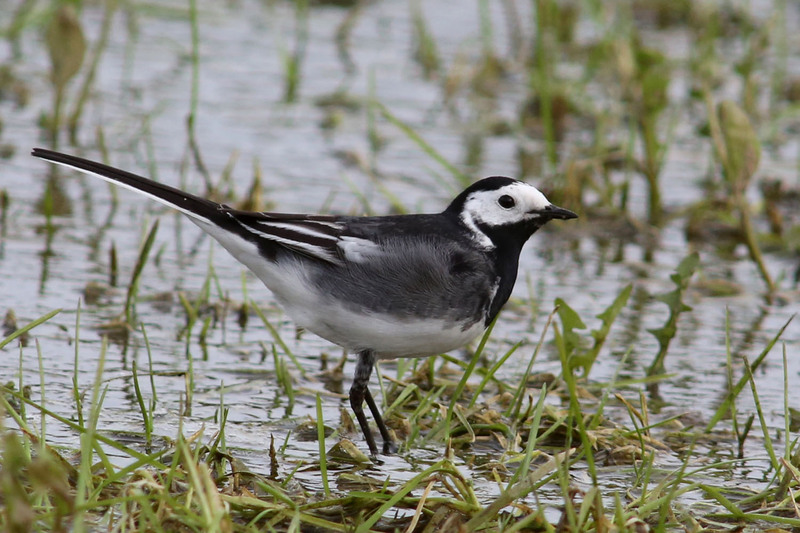 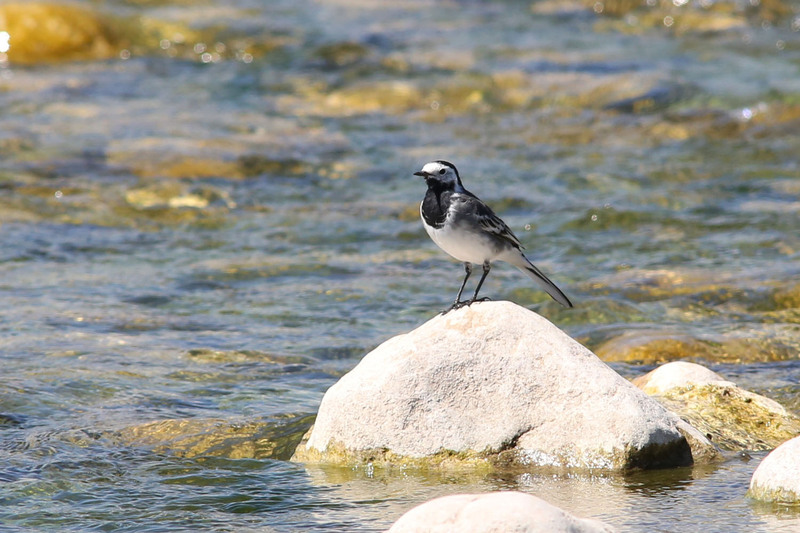 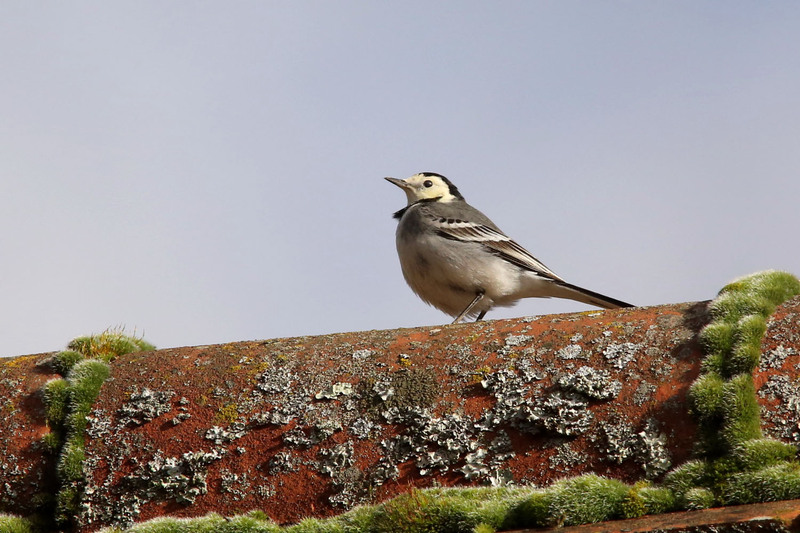 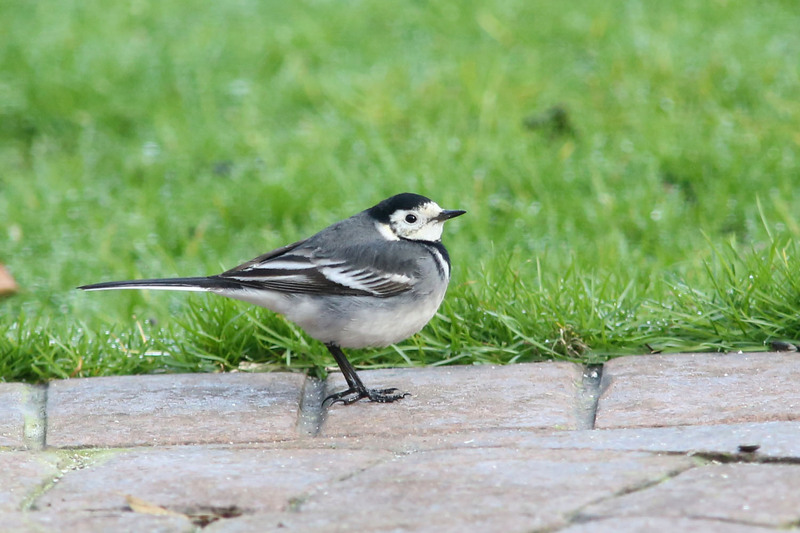 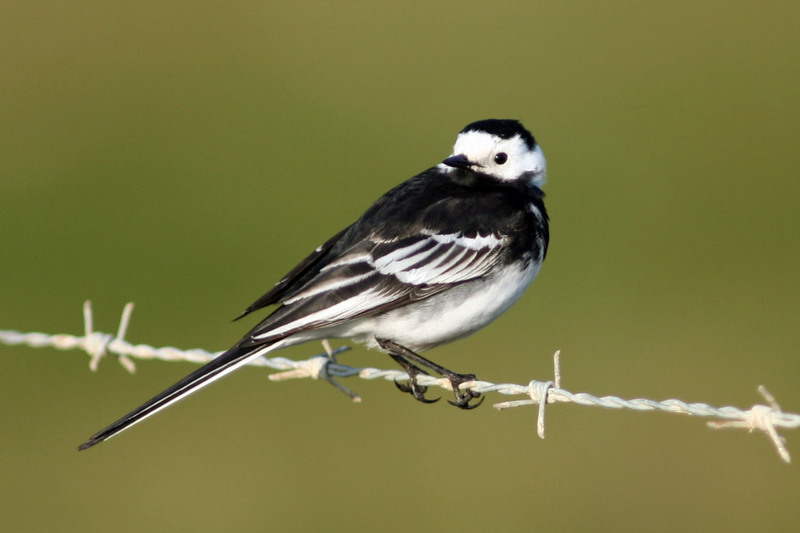 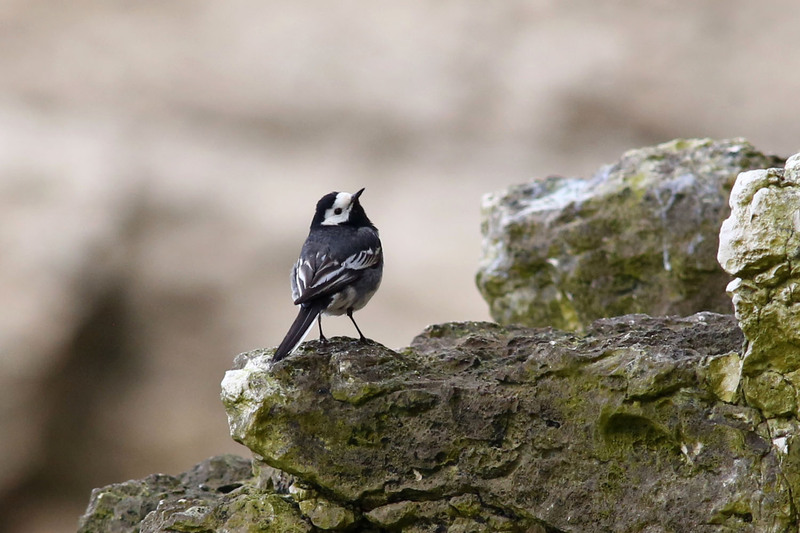 Pied Wagtails are an occasional garden visitor but you're more likely to see them in a car park or on the High Street. 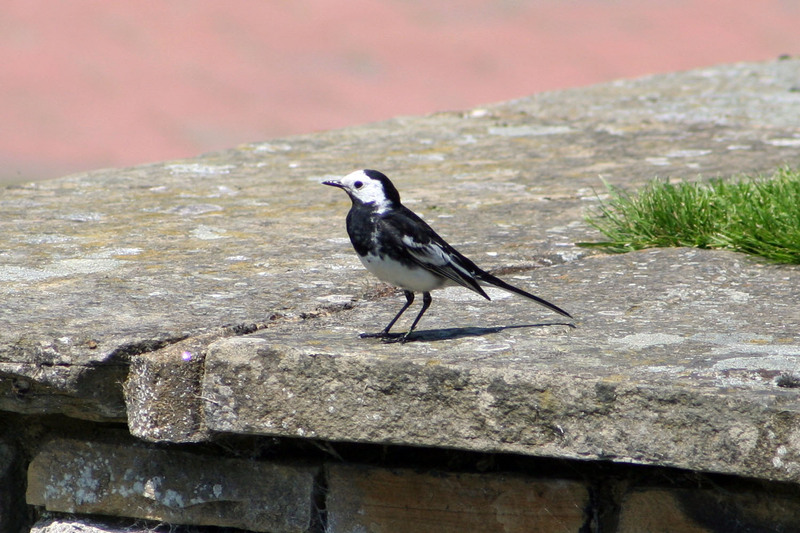 They prefer open ground where their agility helps them to catch insects, but they will also search for crumbs on your patio. 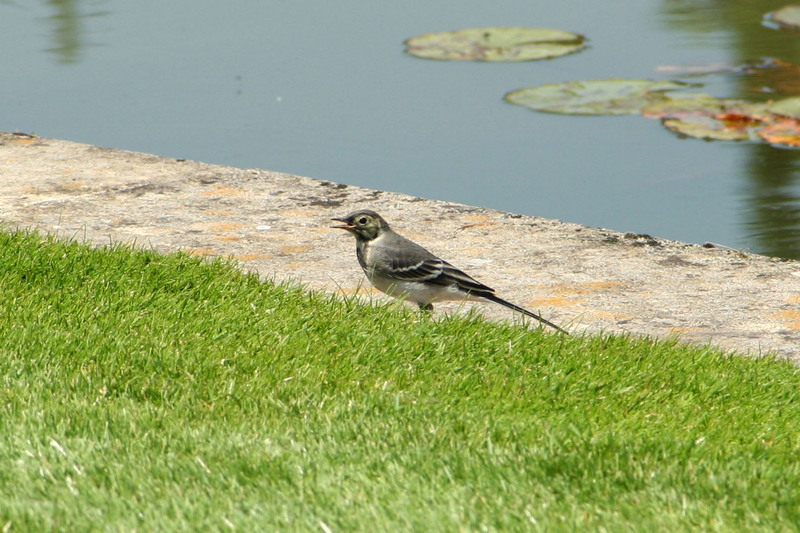 The greyer birds show are juveniles.